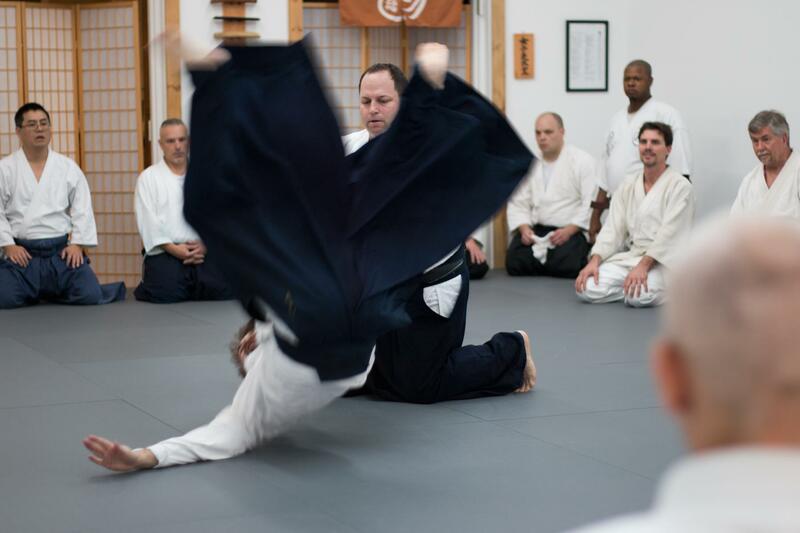 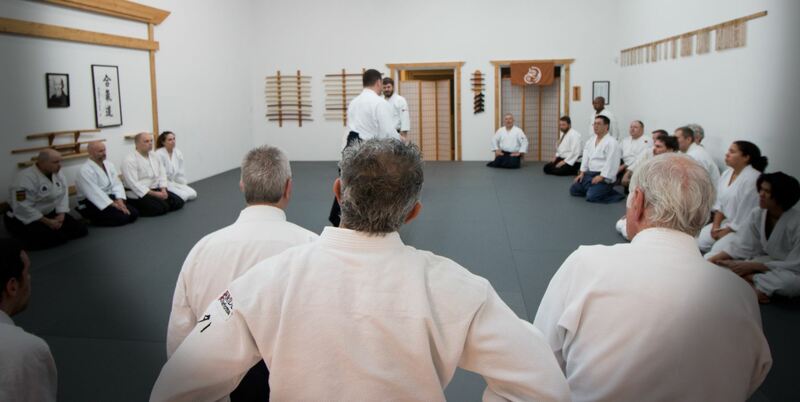 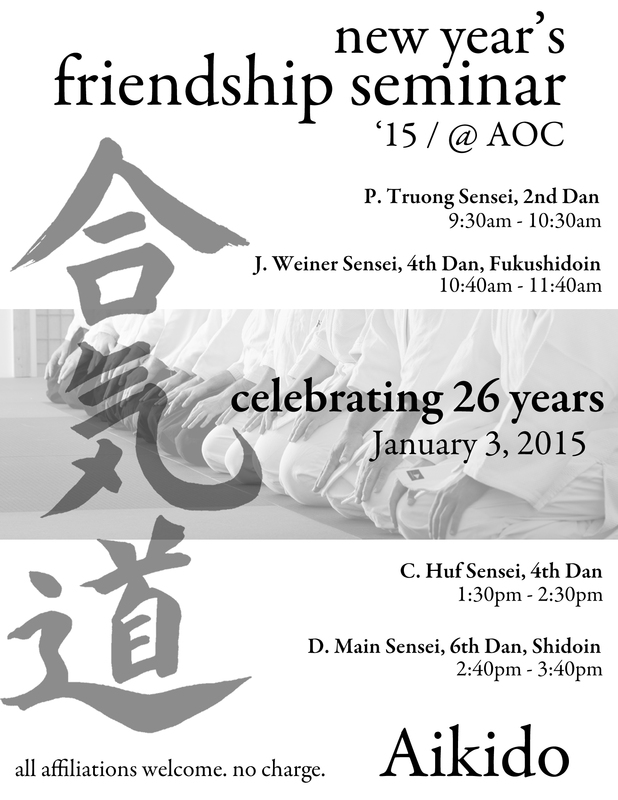 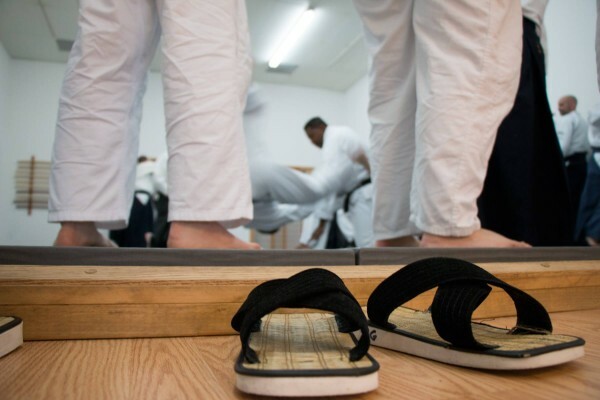 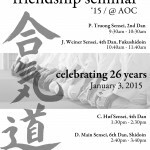 Aikido of Charlotte’s Annual Friendship seminar was held on January 3, 2015. 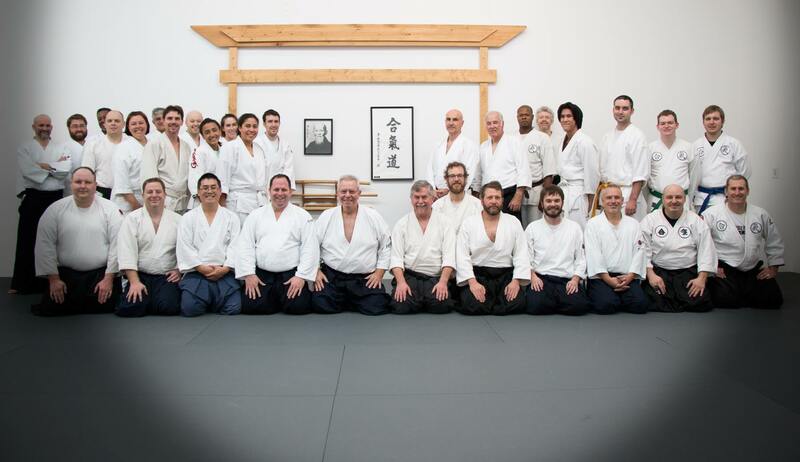 Classes were taught by Sensei Dennis Main, 6th Dan, Shidoin and Sensei Jonathan Weiner, 4th Dan, Fukushidoin of Aikido of Charlotte and were joined by Sensei Charlie Huff, 4th Dan and Sensei Phi Truong, 2nd Dan of Charlotte Aikikai (an ASU Affiliate). This was a special occasion as well, because Main Sensei was just promoted to 6th Dan with the New Year and the opportunity to train with our fellow aikidoka from the area was an excellent way to celebrate. 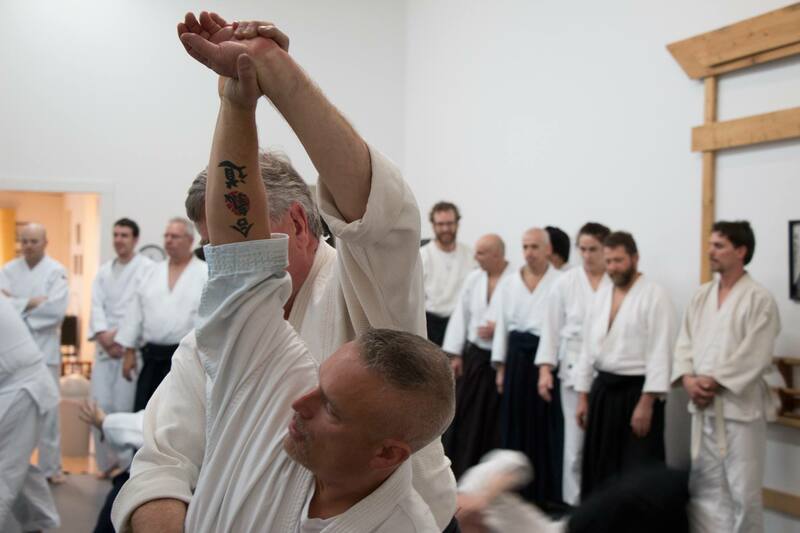 We were joined by practitioners from as far away as Columbia, SC and Greenville, NC, from a variety of affiliations: ASU, Nihon Goshin Aikido, even Karate. 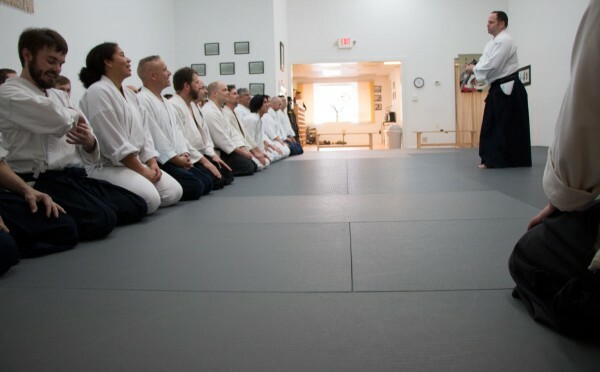 It was a great time to learn, make friends, and have a fantastic workout.